The Old City of Jerusalem is one of the most intense places on Earth! At the heart of the Jewish, Islamic, and Christian religions, this walled one kilometer area in the center of Jerusalem is beyond words and cannot be missed. The Old City is home to the Western Wall (aka Wailing Wall and in Hebrew Kotel). This is the last remaining wall of what was the Jewish Temple, and is today the holiest site in the world for Jews. Above the Western Wall lies the Dome of the Rock important for Muslims as the site where the prophet Muhammad is said to have risen to heaven. And, just a few minutes walk away, lies the Church of the Sepulcher, where some believe Jesus was crucified and buried. One of the best ways to experience the Old City is with a tour. 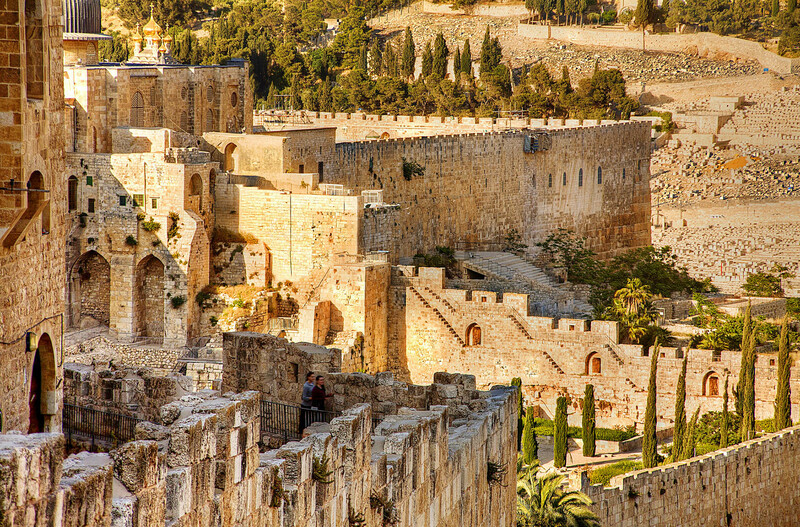 Consider joining the Half-Day Old City Tour or the Jerusalem Day Tour to get a fully guided experience. The Old City of Jerusalem is divided into four quarters; The Jewish Quarter, The Armenian Quarter, The Christian Quarter, and The Muslim Quarter. The walled city is entered by one of seven entry gates, although the busiest for tourists is the Jaffa Gate next to which is the Tower of David Museum, providing the history of Jerusalem within the Old City Walls. Each quarter has its own unique atmosphere and observations, sites and smells, and experiences. In the Jewish Quarter, for instance, the narrow alleyways are lined by the homes of Ultra-Orthodox (Haredi) Jewish families, and Yeshivas (schools for Torah study). Walking and observing the residents of the Jewish quarter rush about on their daily life, whether teenage students in the Yeshivas who are often here from around the world for extended periods of time, children as they walk with school between lessons, or the men, as they rush around between places of worship, and the Western Wall. The houses of the Old City, and the Jewish quarter in particular, are for good reason, hotly contested real estate, and command spectacular prices when they rarely trade hands.